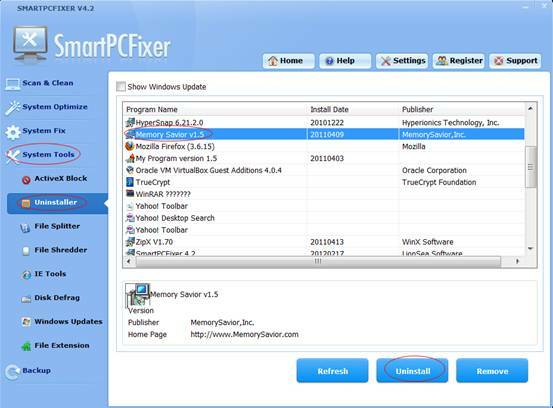 Uninstall Manager: This utility can be used to manage the windows software packages. The screen displays all registered deinstallations and you can launch the deinstallation or setup of any program. You can safely and easily remove unwanted software and return your system to its original state. Click the System Tools button on the left side, and then click the Uninstall Manager tab. Select an object in the listed body frame, and click the Uninstall button. In case that the uninstallation of a program is uncooperative, click the Remove button.